A group of volunteers finishes a sweeping turn for the Bike Flow Park. 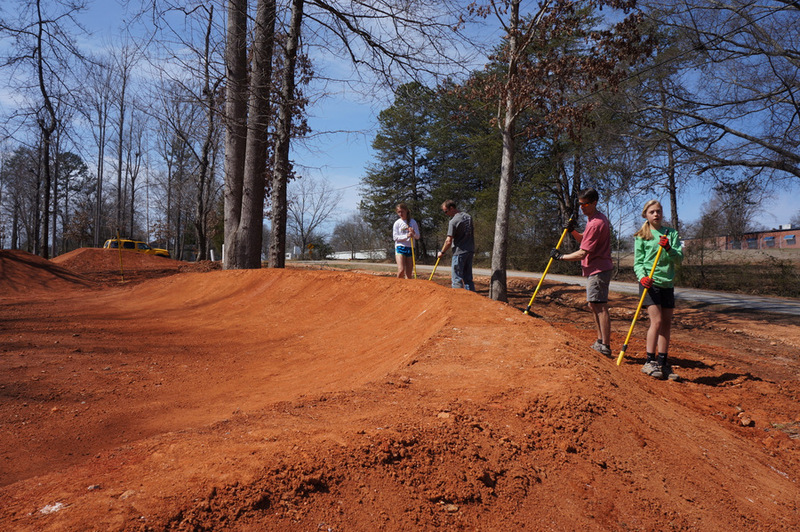 The Bike Skills Flow Park at Gateway Park in Travelers Rest (right off of the Swamp Rabbit Trail) has a large expansion in progress as they implement the second phase of the flow park trails. 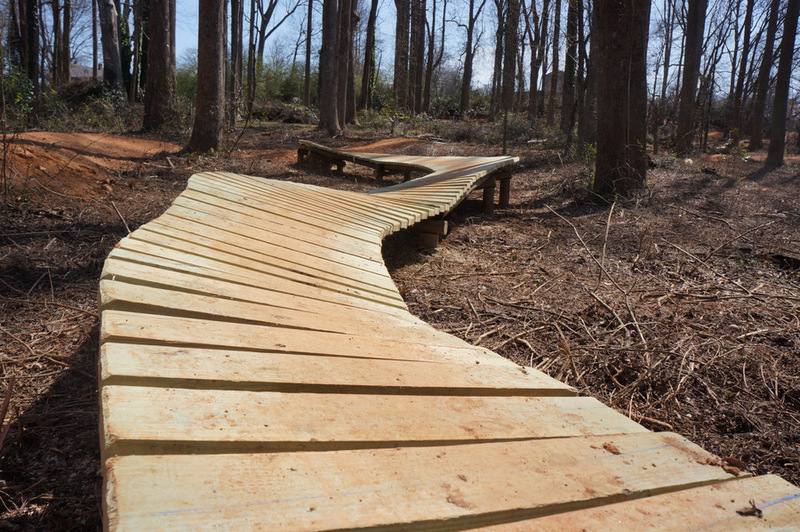 Â The biking community is excited to see this come to the park; volunteers contributed hundreds of hours of labor in the last 2 weekends as the plans were implemented. It includes trail features to practice to take on typical mountain trail riding, as well as advanced features for a larger challenge.